These Shoes Will Help You Take The First Step! If like us, you’re also back to square one and planning to take up the classic new year resolution of staying fit (let’s assume, this time you will stick to it), we found the perfect sole-mate for you! Invest in the Pureboost Go by Adidas and get ready to set your alarms for those morning runs. The Pureboost Go collection by Adidas is a synonym for comfort when we talk about street running or going for a pleasant morning jog in your residential parks. If you’re someone who’s already planning to sign up for all the marathons in 2019 and want to start prepping for the same, we say take the first step and buy these sneakers for yourself. Best part? The rope-style shoelaces helps in securing the foot for everlasting balance and grip. We mean it’s super lightweight! 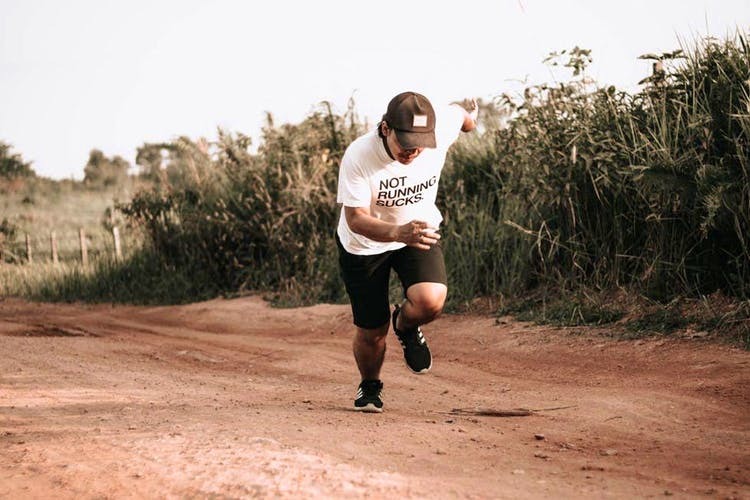 With it’s modern design, the Pureboost range will give you the confidence to power down unpaved paths and explore the unknown roads.With the most responsive cushioning ever, the more energy you give, Boost will give you as much energy to push your limits. Perfect companion to kickstart your new resolution, it’s lower heel to toe offset and wider forefoot design offers high traction for acceleration and cutting corners. Appreciated by runners, a pair of Pureboost Go is a must for someone who likes to stay one step ahead of what’s next. Prepare yourself for 2019 resolutions and gift yourself a box of motivation in the form of these shoes!